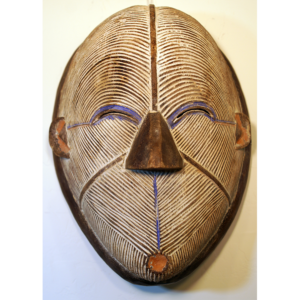 The Songye people of the Democratic Republic of Congo (formerly Zaire) are closely related to the Luba people of the same region. Both use a variety of face masks for social control and village purification. 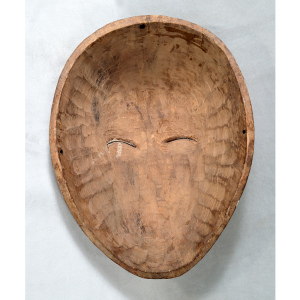 The Songye were formerly a warlike people and used their masks to frighten enemies, as well as to frighten away evil spirits from the village or from a sick individual plagued by them. The masks are danced by secret societies to protect the village and are usually worn with a full body costume of raffia. 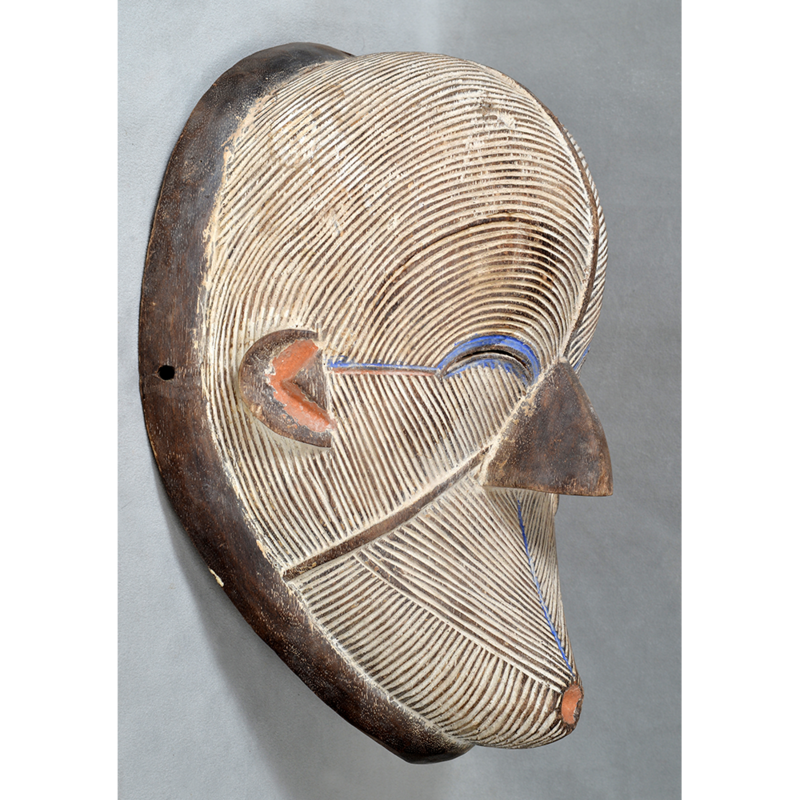 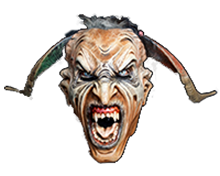 Songye masks are typically characterized by striations carved into the face, representing the facial scarification used by Songye warriors.